Despite all of the souvenirs from your wedding (the dress, his cuff links, your garter) one of the most looked at and memorable of keepsakes are your photographs. 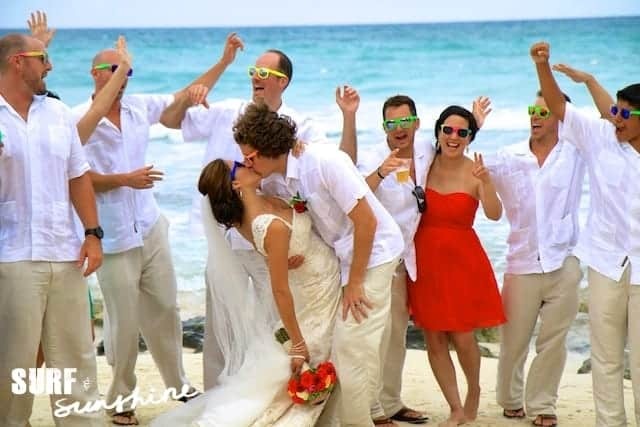 Incorporate more than just people into your wedding photos to make them truly memorable. Adding props to your wedding photography lets your personality shine and add a unique style to your photos. Choose props that relate to your personality, how you met, likes, dislikes and hobbies – anything with history or value to you! Props aren’t just for telling stories, sometimes they can just simply create stunning pictures. Check out this series of pictures to see how couples used a variety of props to enhance their wedding photos. Courtenay – I love them all! She did a wonderful job crunpaitg all of their sweet personalities! I definitely want some for my new place! They are such amazing kids so lucky to be there aunt! These wedding photo props ideas sound very fun. Thanks for sharing!